This is a continuation of my series on famous burials in Hollywood Cemetery in Richmond, VA. Other posts in the series can be viewed here. 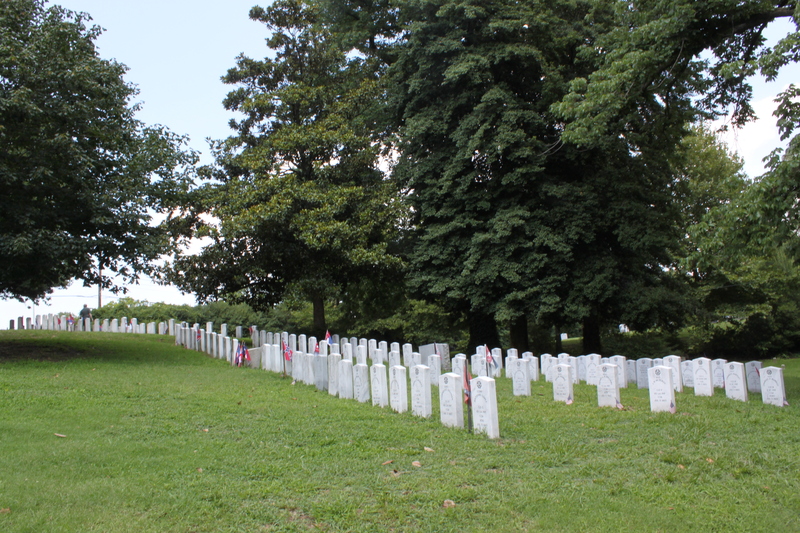 The area of Hollywood Cemetery that we’ve been exploring so far is known as Gettysburg Hill. This hill got its name from the more than 2,000 Confederate dead from the Battle of Gettysburg that are buried in this section. The marker where the Gettysburg dead are buried. Photo by John Dolan. As we know, the Confederates didn’t hang around very long after the battle. They were on the road south by July 4. 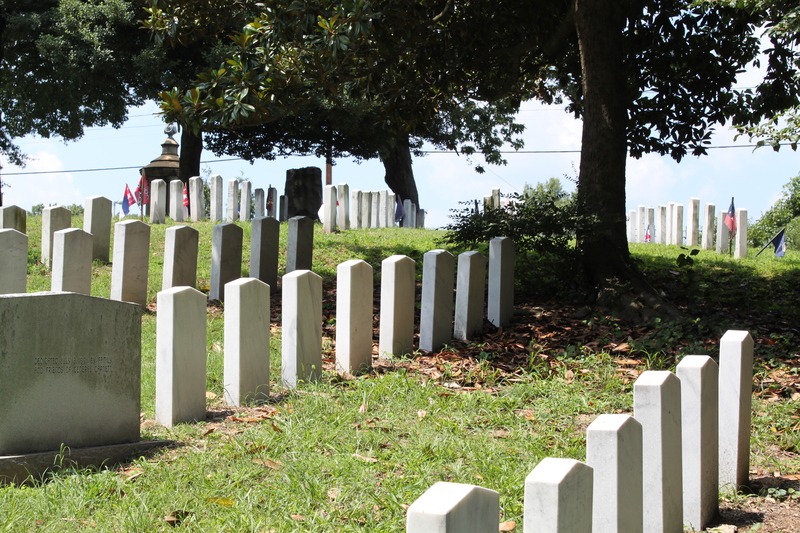 There was no way for the Confederates to collect or bury all of their dead – especially those who died near or beyond the Union lines. Those men were buried largely in mass graves by Union burial details and U.S. government contractors. 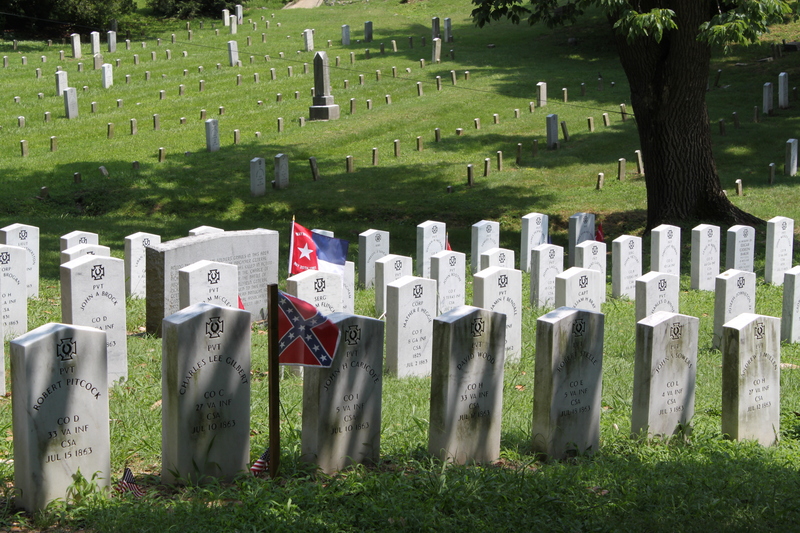 So how did thousands of dead from Gettysburg end up in Richmond, VA? The southern economy was wrecked by the war. Even families who wanted to exhume their relatives to move closer to home couldn’t afford to do so. It took until 1872 for the Hollywood Memorial Association to raise enough money to have a large number of these men – mainly the dead from Pickett’s Charge – moved to the cemetery. After nearly 10 years, there wasn’t much left of the remains, and no good method for identifying them. They were buried in a mass grave, much as they had been on the battlefield. Since so many of the dead in this area were from Pickett’s Charge, Pickett himself chose to be buried on this hill near his men. For better or worse, July 3, 1863 really had become the defining moment in his life, and would remain so for all time. Looking down the hill from the top. Photo by John Dolan. A view from the opposite direction, looking up the hill. Note the top of General Pickett’s monument at the top left. Photo by John Dolan. One more view from the bottom of the hill showing all the headstones. Photo by John Dolan. 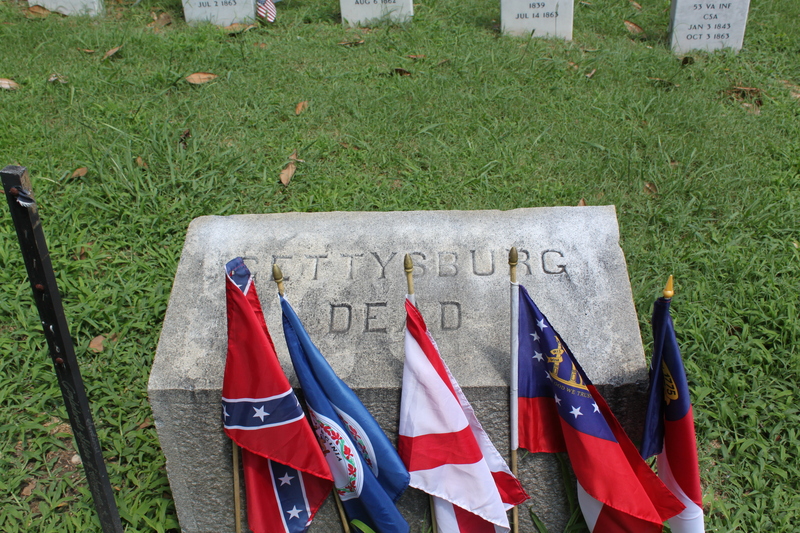 In the next post, we’ll talk about one of the men who is memorialized by a headstone in this section. All views expressed here are my own.